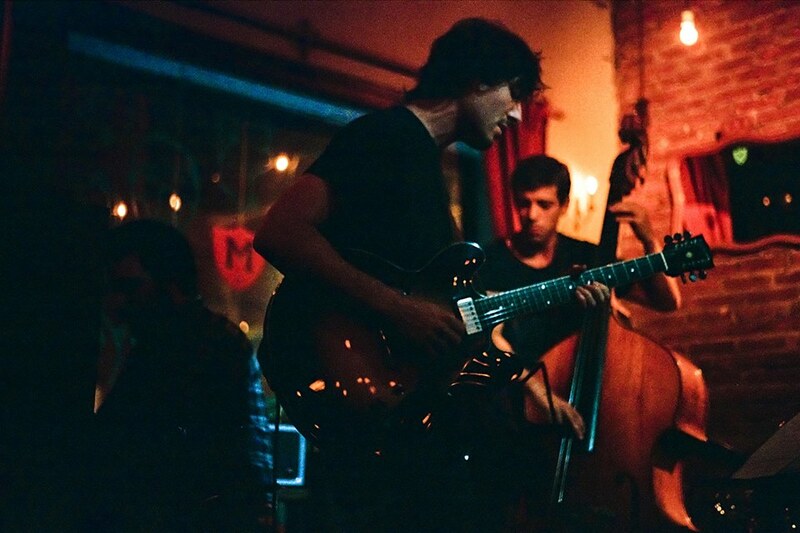 A young jazz composer and guitarist from Buenos Aires, Argentina. He is featured on “Solo en la Carne”. He started playing as a child and began studying the guitar at 14 at the conservatory of Juan José Castro. There he studied classical music for 6 years with guitar master Sergio Moldavsky. He also took courses with Sergio Romano (guitar), Armando Alonso (guitar, harmony, and applied composition); Diego Schissi (harmony, composition and arrangement). In 2014 he started jazz studies at the Manuel de Falla conservatory, guided by Ernesto Jodos, taking clases with masters such as Marcelo Gutfraind, Juan Pablo Arredondo, Valentín Reiners and Hernán Merlo among others. In 2016 he was selected for a jazz music residency at the Centro Cultural Kirchner, a project co-produced by El Centro Cultural Kirchner, El Conservatorio Manuel de Falla and the US Embassy during which he took classes and performed at La Sala Argentina with Devin Hoff and Ben Goldberg and also at La Ballena Azul mentored by Marilyn Crispell. Since 2014 he has lead the “Lucas Rochaix Quinteto” and released his first EP called “Manovuotometro” which received international and national acclaim in mid-2016. In addition to his own project, he is an active session musician in the Buenos Aires music scene, and has toured nationally and internationally.